Chat not loading at all. Attacks incoming on the Kingdom, but not visible on the icon below the crown, where you normally can see it. Can't collect tributes, need to click every single thing every time it lags. Totally ruins the experience, when you have a gov under attacks. But no one can do a deff call or inform others about it. When your chat is down all the time. Leader boards not showing information at all. Everytime I need to reload because of your mistakes. I keep getting logged into one of the two sitters I'm on. Seriously, I can't even have my sitters open while I reload. Just everything is broken. 23/24 hours a day. Oh wait, the only thing you can do always. Is to spend & purchase gold. still same like 1 day it was good after that same again need to reload evert 2-3 min and if i tab out [ go to another tab on browser ] need to reaload . attacks / chat[msg] / merchants nothing update. how can we send cata wave like this if i change to another tab on browser need to reload each tab so i can send attack waves with 30sec-1min delay with each wave . you think its good ???? @Shardrox, can you tell us what issue you were having? That would help us identify the problem. Was it the chat messages not loading? A stuck timer? What happened? @Reinhart#EN Same, for you, can you give us more details? What error or issues caused this? The post was edited 1 time, last by Reinhart#EN ( Dec 8th 2017 ). Thanks for providing the information. I assure you the team is looking into these issues with the highest priority at the moment. I'll inform you right away as soon as the devs have some news and I'll keep sending them all your technical feedback and error reports so they can find the cause of the problem sooner. Please send me that screenshot as soon as you can get it, @Reinhart#EN. to have the chat to be able to coordinate everything. and say it should have improved whilst nothing has improved!!! Our devs have tried different methods to increase performance and fix the issues you've experienced, but it seems like some of you still have issues, so they're still working on this with the highest priority. We would appreciate it if you could give us some extra information and screenshots so it's easier for them to pinpoint the problem exactly. Right now, the problem is that some of the issues you're experiencing are not related to each other, so it's difficult to determine the problem. 1- Are you facing problems with the chat? Our understanding is that when this happens, the messages window is empty, like this. Is this the problem you're facing? 2- How long does this last usually? 3- Does it work again if you refresh (F5) the page or does it continue to be empty for some time after refreshing? 4- Do the other players get the problem at the same time? 6- What's your Operating System? 7- Most useful of all: when this happens, press F12 in the browser to open the dev console and take a screenshot. This is what the window looks like. 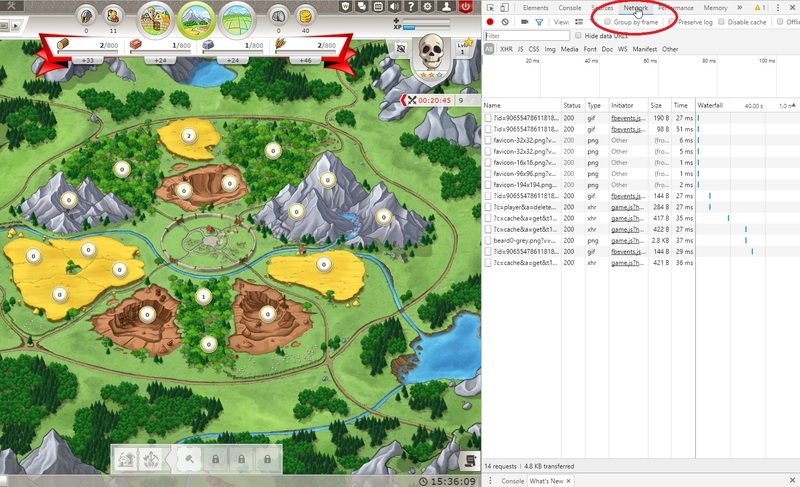 8- After this screenshot, press Network, like in the screenshot here. Then take another screenshot of this window. 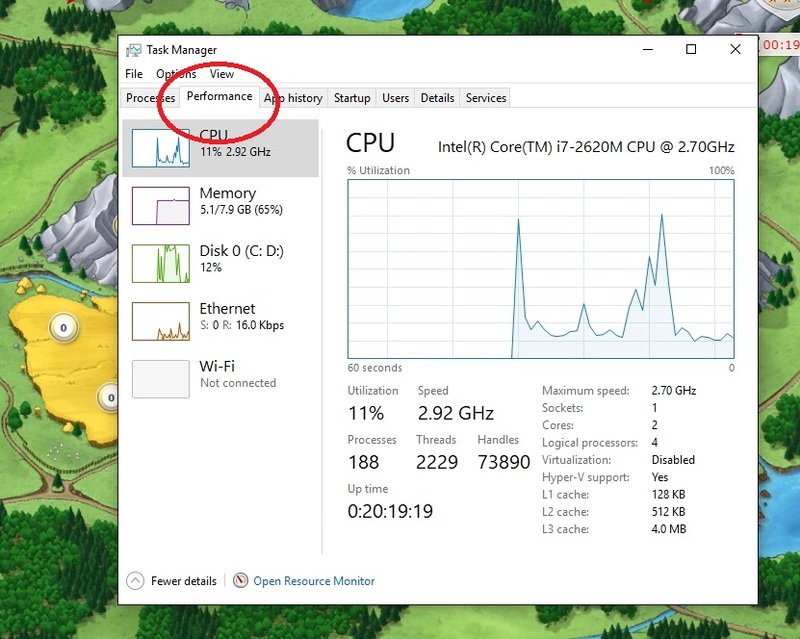 9- If the problems are performance in general, in addition please open the task manager (Control + Shift + ESC), press "show more details" and click on "Performance", like shown in the screenshot here and take a screenshot. We're trying our best to fix it as soon as possible, so we really appreciate any help we can get. Thank you!